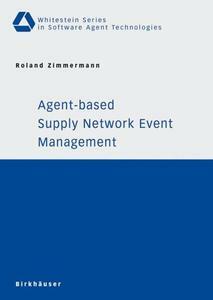 “Supply Chain Event Management (SCEM)” is one of the major topics in application-oriented Supply Chain Management. However, many solutions lack conceptual precision and currently available client-server SCEM-systems are ill-suited for complex supply networks in today’s business environment. Agent-based proactive information logistics promises to overcome existing deficits by providing event-related information to all participants in the distributed environment. Hence, follow-up costs of disruptive events are significantly reduced for all network participants and performance of a supply network is increased. 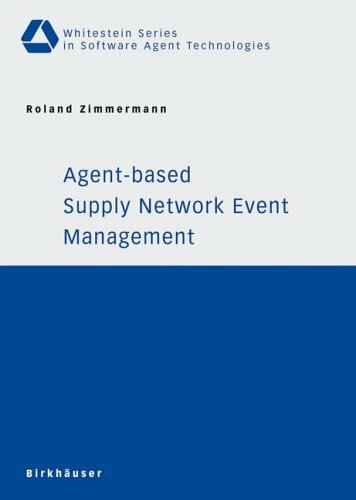 In this book a thorough analysis of the event management problem domain is the starting point to develop a generic agent-based approach to Supply Network Event Management. The main focus lies on practical issues of event management (e.g. semantic interoperability) and economic benefits to be achieved with agent technology in this state-of-the-art problem domain.